Zoysia is a very low-maintenance grass. 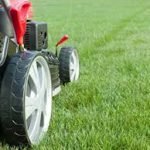 Once established, there is little that you need to do to keep your Zoysia lawn alive and healthy. 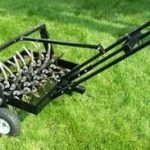 Because the end of the growing season is coming soon, here are some activities you can do to get your lawn ready for the cold weather approaching. Mow– During the spring and summer months, Zoysia should be kept anywhere between 1 ½” to 3” depending on your preference. For your final mow of the season, you should raise your deck by about ½” to keep the grass a little taller for the colder weather. 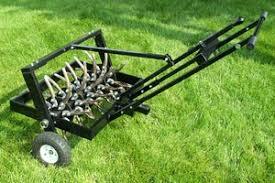 Aerate– You can aerate your lawn each spring and fall to keep your soil from becoming heavily compacted. It also aids in preventing/ removing thatch build-up. Aerating will help root development as well. Dethatch-Thatch is a layer of partially decomposed plant material that builds up on the soil’s surface. It can prevent light and water from getting to your plants. 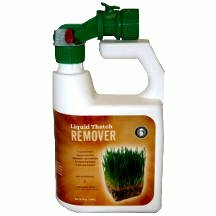 You can get rid of thatch by power-raking by hand or even by using a spray-on, organic liquid thatch remover. Fertilize– During the growing season, you can fertilize 2-3 times per year. 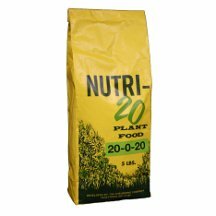 May, June, and September are usually the best months to fertilize. 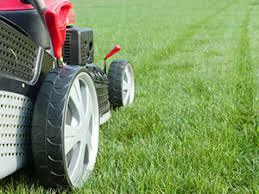 Overall, Zoysia is a very low-maintenance grass. By completing these tasks, you can benefit your Zoysia lawn in many ways. However, each of these duties are completely optional. They will just help prepare your lawn for the cold weather coming.